Most times, a spike in the wheel is a bad thing for a cycle. Other times, it’s needed. Consider Fernanda Munoz a spike of the needed variety. With support from some helping hands, she’s proving that the stereotype of single mothers doesn’t have to be. Fernanda Munoz with her children, Alan, 15, and Viviana, 7. Munoz, a senior nursing student at Grand Canyon University, has two children who inspire her to be great every day. She wants them to have a better life than she did growing up. At age 10, Munoz was told to pack three outfits and her sleeping bag because her mother was moving Fernanda and her four siblings to Arizona. For the first year, the children slept on the floor in their sleeping bags. Their mother got a job at a donut shop and did her best to keep rent paid and food on the table, but there wasn’t room for much else. Munoz remembers her school as a sanctuary, a place for breakfast, lunch and furniture. She remembers going home for the day to a bowl of cereal for dinner. She keeps those memories in the forefront of her mind — the all-too-common single-parent cycle that cripples families across the world. The nonprofit organization Helping Hands for Single Moms is making sure Munoz gets that career opportunity. 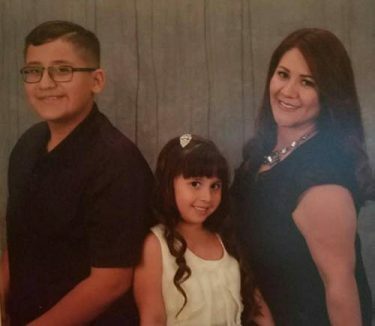 Helping Hands has provided her with a scholarship to GCU and has given mothers more than $5 million in scholarships and support services since 2002. The nonprofit provides mothers with support such as mentors, car expenses and dental services. Helping Hands Program Director Layla Maroufkhani said Munoz is one of the most incredible women in the program. Maroufkhani told a story of how Munoz stood out in the crowd at a recent nursing meeting with an attorney. “They were talking about malpractice, real-life case briefs,” Maroufkhani said. “And the lawyer asked the whole room who could pick out their error, why the nurse was being sued, and Fernanda was the only one in the room who caught the error. Earlier in the month, the nonprofit held a fundraising event, sponsored by GCU, that honored mothers like Munoz. 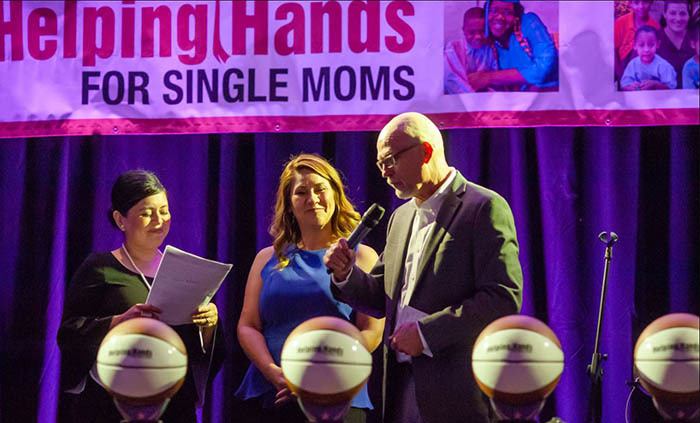 The event raised $35,000 that will go directly to scholarships for single moms headed to GCU. At the event, Munoz was able to meet GCU men’s basketball coach Dan Majerle, who says it’s great for anyone to attend a university like GCU but especially great for mothers like Munoz. Munoz said she expects to finish her bachelor’s in nursing in February. She said her son Alan, 15, and her daughter Vivian, 7, are keeping her motivated to make it in the field upon graduation.